You’ve probably heard that a car is the second-largest purchase the typical American makes after their home, but that’s not really true. It might seem like it, since the median home price in the US was just under $190,000 last year, while a new Honda Civic starts at about one-tenth as much. When you look a little deeper, though, you’ll probably only ever own one home at a time, and when you sell it, you’ll get your money back. You might even make a profit on the sale. With a car, though, the life expectancy is just under a decade, it has limited resale value, and many families own several automobiles. Because of facts like these, the actual cost of car ownership over a lifetime can be staggering. More specifically, you can still expect to spend a minimum of $120,000 (in 2015 U.S. dollars) per driver over the course of a lifetime. That number goes up if you trade in your cars in less than nine years or if you drive a vehicle that’s nicer than an entry-level coupe. A two-car family who drives a new pickup truck and minivan and trades in every five years can expect to spend roughly three-quarters of a million dollars on their cars in their lifetimes. So why do we assemble a team of professionals to buy a house and then spend weeks or months agonizing over our decision, but dedicate little more than a Saturday afternoon to buying a car? This guide is meant to help bridge the gap between the seriousness with which we tend to take home buying and car buying. It’s meant to make an important financial decision easier, but it is just a simple guide. When you’re done, be sure to talk to [name] before you head to the dealership. We can get your loan secured, walk you through the buying process and make sure you walk onto the lot ready to hold your own with whatever slick salesperson greets you. Question: Why am I buying a used car? Answer: Maybe you’re not. Some people only want to buy new cars. New cars have time left on their warranties, can be customized to exact specifications of the buyer and help reduce uncertainty. If those are important to you, you might be willing to spend the extra money to buy a new car. Grab a copy of Consumer Reports’ 2016 car buying guide, or pay the $6.95 for a one-month subscription. Consumer Reports is generally fantastic and its car guide is still better than anything you’re going to find online for free. Buying a used car is a much better value for most people, however. Few products lose their value faster than a car, whose value plummets the minute it’s driven off the lot. Maybe buying dinner at a fancy restaurant loses its resale value more quickly than a new car, but little else does. Buying a one- or two-year-old vehicle can save thousands of dollars off the sticker price of a vehicle, but even buying a used version of this year’s model can be a windfall, because someone else has paid for the initial depreciation once the vehicle lost its new car smell. 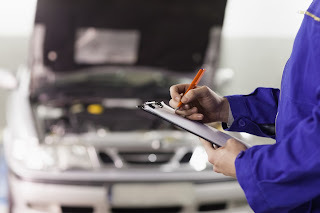 Question: How do I know if a used car is in good condition? I don’t know much about cars. Answer: Even if you know a lot about cars, you should take it to someone who knows as much or more about cars as you do. You’re not going to be objective, because your bias toward a car you like (or your desire to just be done with test drives) will lead you to overlook flaws that a neutral observer will not. Dealerships will usually let you take a used car to a mechanic you trust, which is your best bet to make sure the car is in good condition. Question: What if I’m not buying from a dealer? What if I’m buying from a friend or off of Craigslist? Answer: If, for some reason, you can’t take the car to a mechanic – which should make you skeptical – or if you want to find out about a car before you meet up with the seller, ask for a CarFax report. They cost around $50 and will tell you about all sorts of things you’ll want to know. Many sellers will foot the cost of the CarFax, because they can still use it for the next potential buyer even if you don’t buy the car. Question: Anything else I can do to protect myself? Answer: No matter if you’re buying from a dealer, a friend, your pastor or the reanimated corpse of Henry Ford himself, you should always take a car for a test drive. Find a route that simulates your morning commute; don’t just go on the route the dealer wants to take you. Take some left turns. Accelerate to freeway speeds. Ride in the back seat for a while. Make sure you actually like the car before you spend thousands of dollars on it. There are few feelings worse than writing a sizable check every month for something you resent. Just ask anyone who’s paying off student loans but not using their degree. The first part of buying a used car is not the most fun, that’s for sure. It’s all about research and preparation. If there’s anything we all hate more than driving around to used car lots, it’s homework. But this is the best way to make sure you get a car you’re going to love for a long time, which means the more time you put in now; the longer you can wait until you have to do it again. In our next installment, we’ll go over the negotiation process, including everything you could want to know about financing. If you’re planning to buy a car this weekend, the most important thing to know for now is that you’ll want to come see us about our auto loans before you go to the dealership. It can save you hundreds or even thousands of dollars to talk to us first. You can find our rates and apply online here.